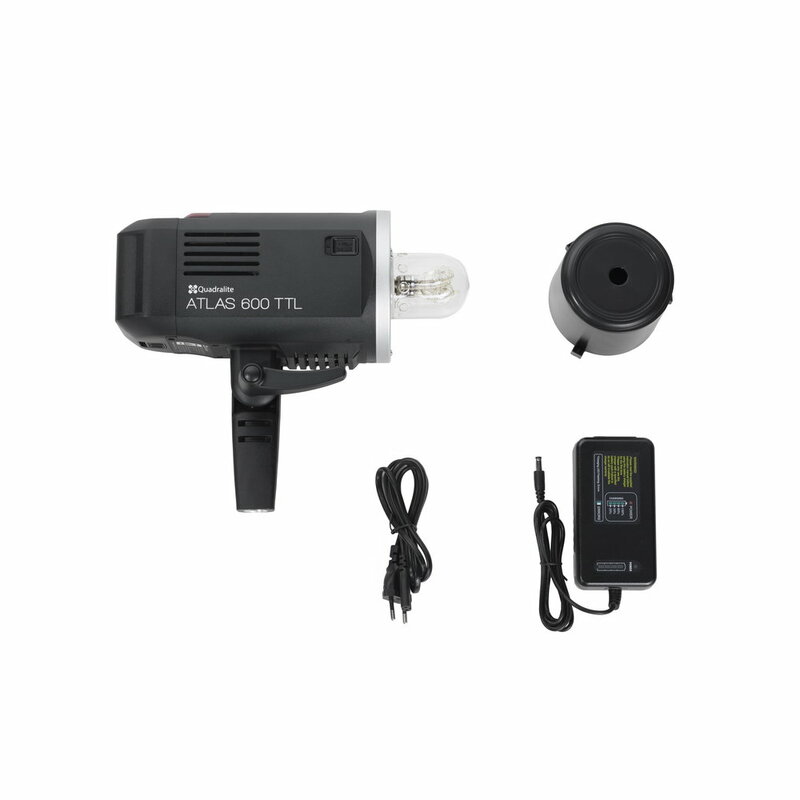 Atlas 600* has maximum flash output amounts to 600Ws, and can be easily adjusted within 8 aperture values (1/1 – 1/256), allowing to match the flash output to a given theme. The flash is power supplied from the battery and does not require electrical connection, which increases the device’s versatility when shooting outside a photo studio. An option to synchro flashes with fast shutter speeds allows the use of wide apertures and shallow depths of field, also at strong ambient lighting. 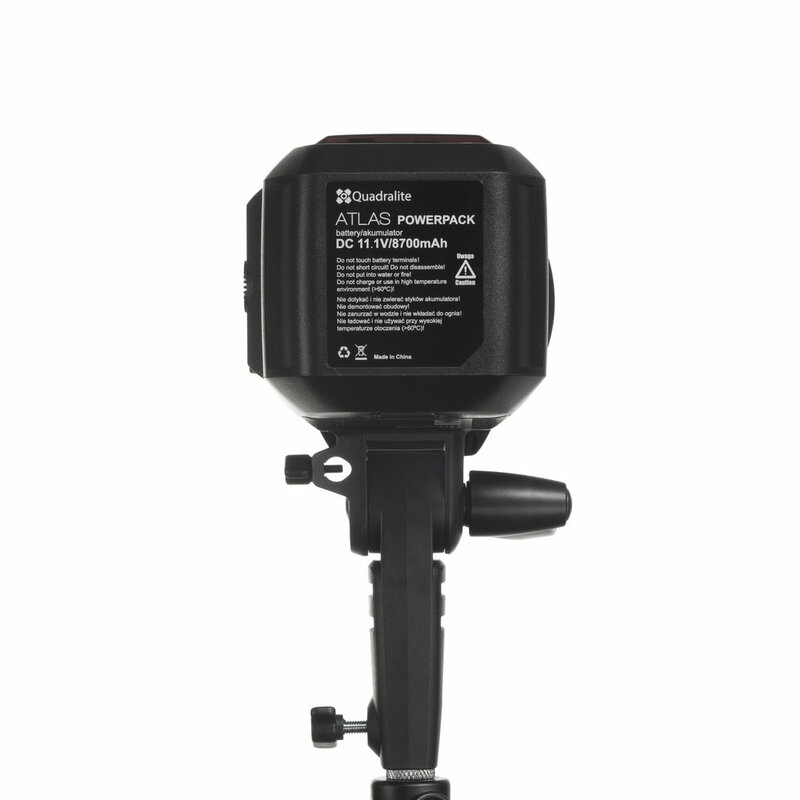 Atlas 600* comes with an integrated wireless receiver - Quadralite Navigator X, and does not need to be connected to any additional radio receivers. It is also possible to connect the flash to another wireless triggers via Jack 3.5mm connection. Atlas 600 is also fitted with a socket intended for Quadralite Navigator receivers. 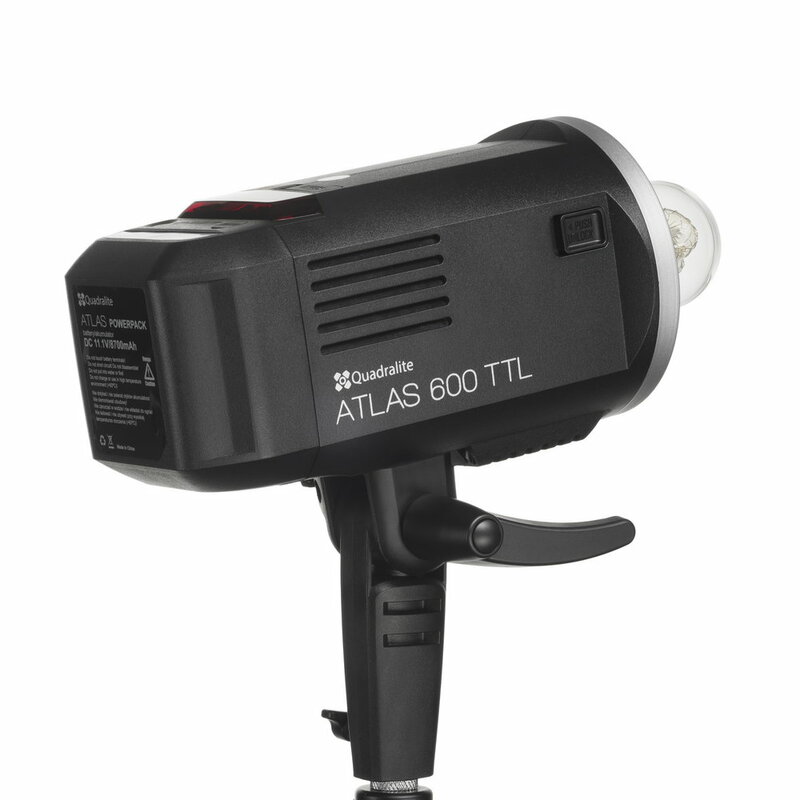 Atlas 600 flash may be used with Atlas FH600 flash head which generates 600Ws output. When the head and a light modifier are mounted on a high tripod, a camera body remains within a hand's reach. 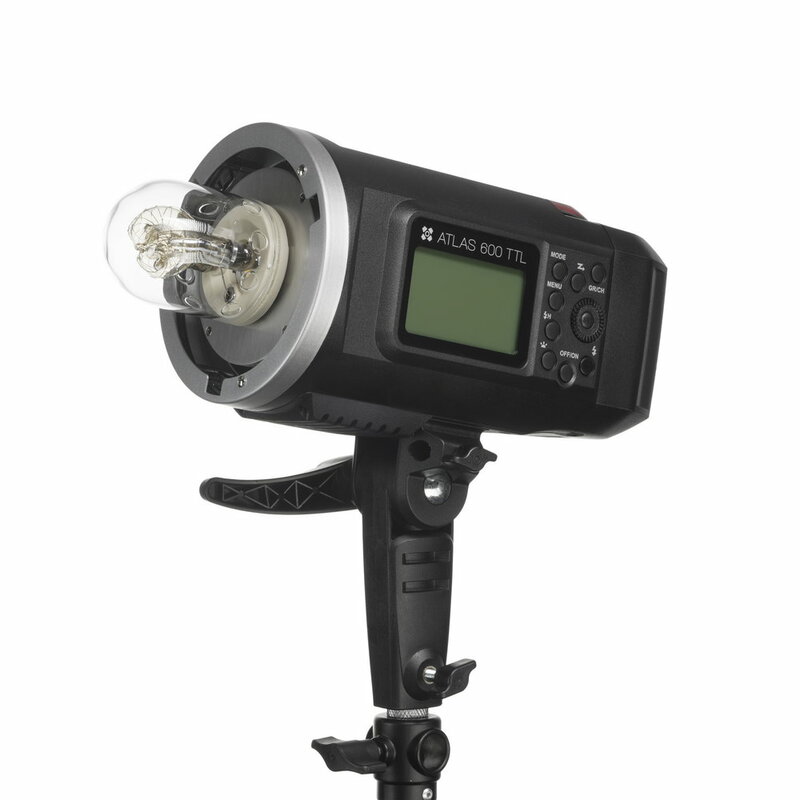 If the shooting scenario requires a flash with higher output than 600Ws, you can connect two Atlas 600 flashes onto Atlas FH1200 head to receive 1200Ws flash output. 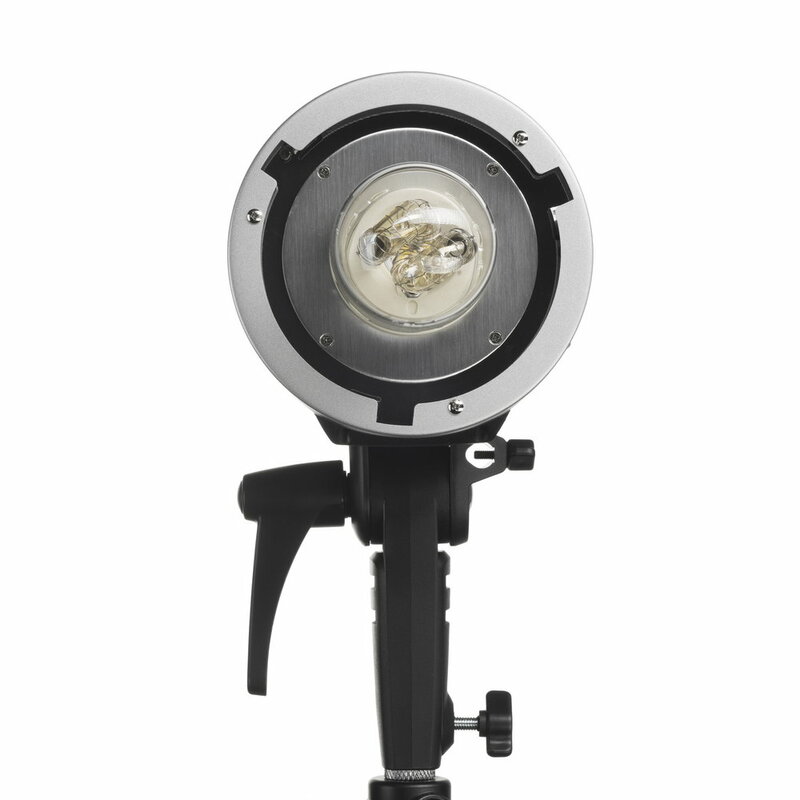 With the Bowens-type mount for accessories the flash can be used with a wide variety of light modifiers, including: reflectors, softboxes and umbrellas, whereas the tripod mount (compatible with almost all studio tripods) allows to adjust the flash's tilt angle. Atlas 600 flash works best with Quadralite Navigator X radio transceiver which allows wireless control and triggering including High-Speed Sync and Multi modes*. Maximum flash output of up to 600 WS. Flexible flash output adjustment within 8 aperture values: 25 steps (from 1/1 to 1/256) regulated at 1/3 stop increments of the EV. Power supply ensured by 8700mAh battery allowing for up to 500 full-power flashes. Short flash duration 1/10000 s (t0.1, at 1/256 power). Stable flash color temperature (5600K±200K). Integrated Quadralite Navigator X receiver and the connection for the Navigator receiver. Stroboscopic flash function and synchro with short exposure times*. An option to trigger the flash through a synchro socket of 3.5mm type and photocell. LED light modelling at 10W power. 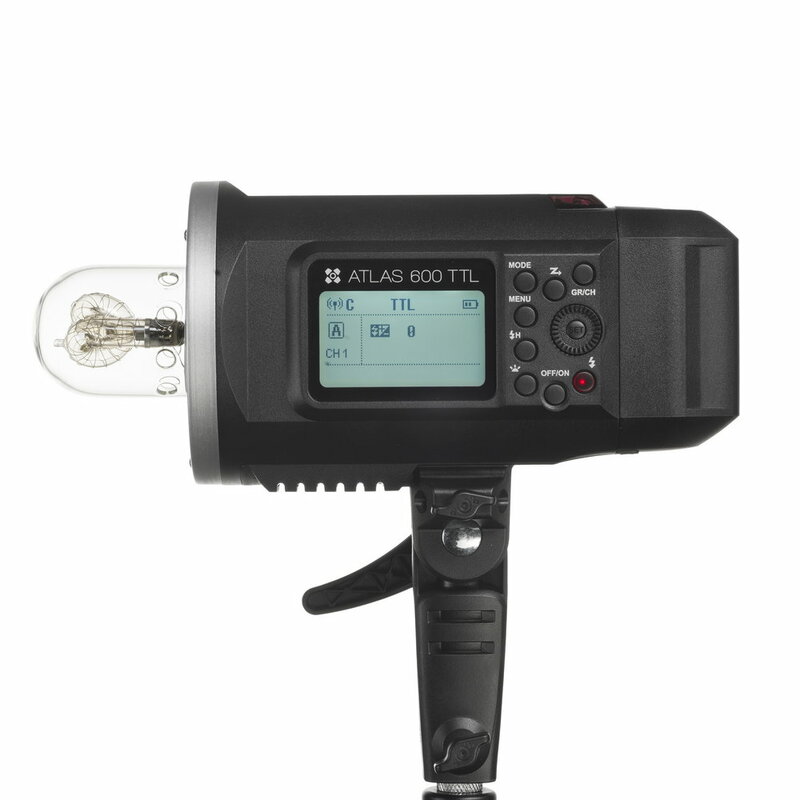 An option to work with Atlas FH600 and Atlas FH1200 flash heads. Equipped with the Bowens type mount for accessories. * * third party radio triggers will work only up to cameras x-sync speed, wireless output control and HSS is not supported. Detailed information has been provided in the flash manual.